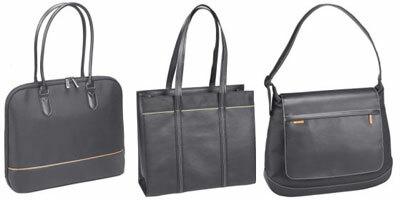 OK, so Microsoft have actually released a set of ‘laptop bags’. But I think they look like handbags. Not that this is a bad thing, they might be less likely to be nicked if they look less like laptop bags. I really love how your delicious and comments buttons leak through to the RSS reader. Deperately need a new WP blog on my dada.com site. Would you please install it for me, with these kinds of bells and whistles? Or show me how to do it? I love the thing for feeds for comments, etc. They are added by Feedburner, not me. I’m sure there are similar plugins for WordPress though. They are – even in Bloglines? How’s that work then…? http://www.northernexposure.co.uk – you’re the first to see it, in it’s draft form. I thought about using the WP you put on bdada.com for MITWS, but think I’ll have to get some ftp to find out where it is. My details/settings/data etc were all on my laptop. Do you think you could possibly turn the installment on there to point at the domain? How easy would that be for a chap in the know?